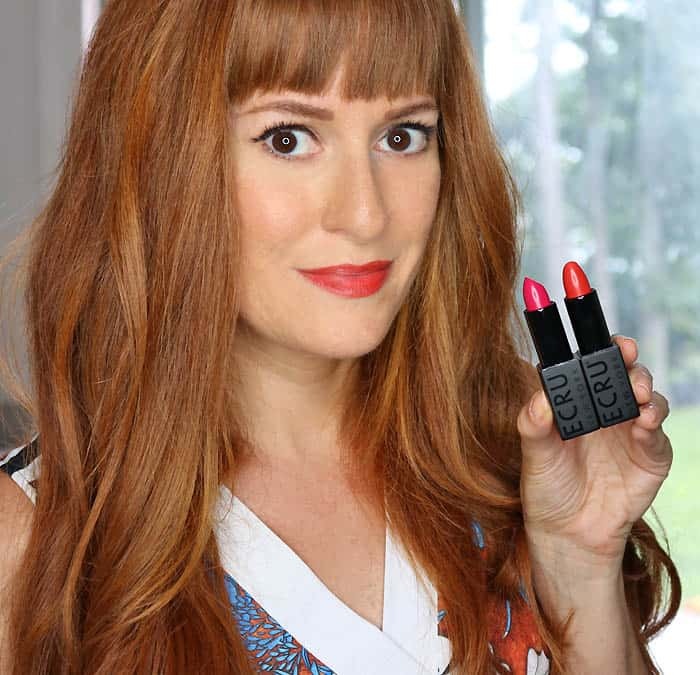 This post has been sponsored by Babbleboxx.com on behalf of Single Edition Media. All opinions are my own. I don’t know if you guys have seen these, but there are some crazy-indulgent recipes floating around Pinterest for grilled cheese that’s made with potato tots instead of bread. To up the unhealthy factor, toppings like mac & cheese, bacon and buffalo chicken are added to the sandwich. 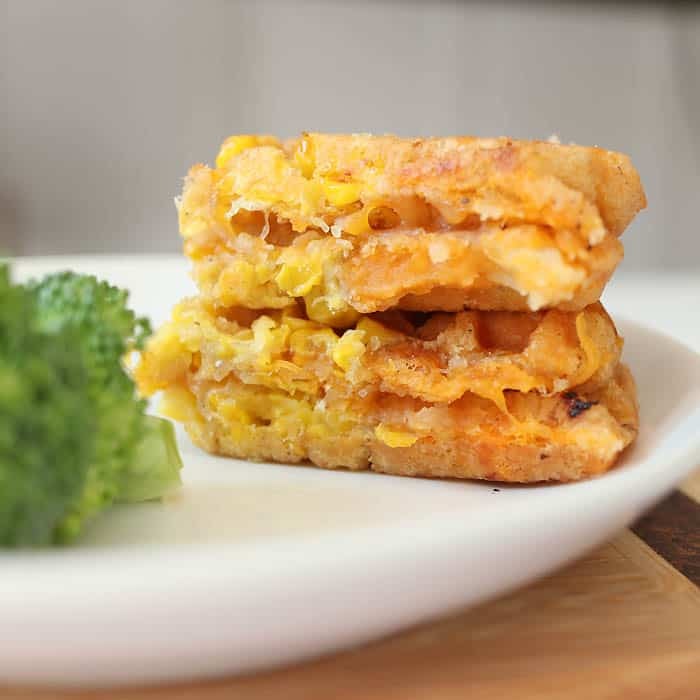 I thought the idea of a tot grilled cheese sounded good, but I wanted to do a lighter/healthier take on the recipe. 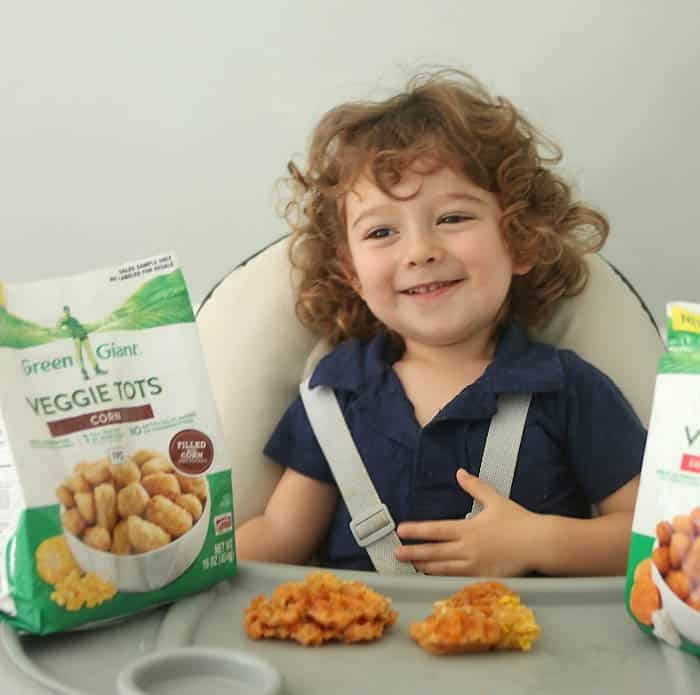 Today, I teamed up with Green Giant to share my recipe for Healthier Veggie Tot Grilled Cheese. 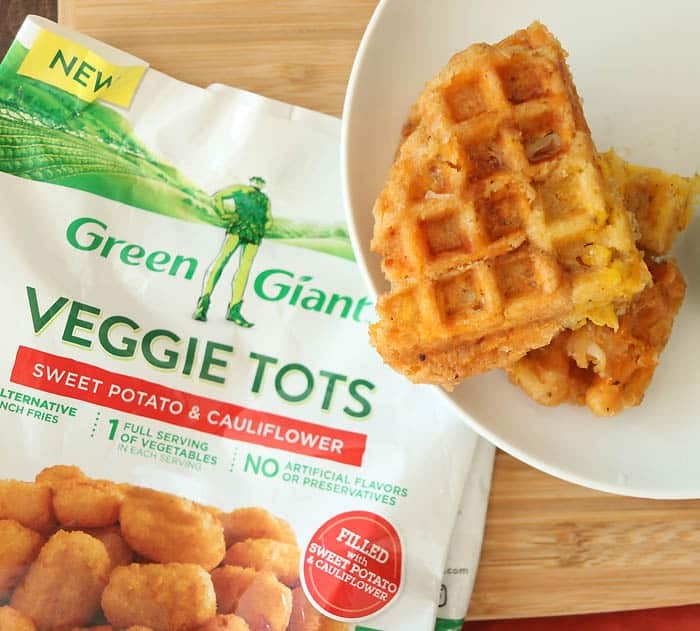 Green Giant makes veggies tots in these new flavors: Sweet Potato and Cauliflower, and Corn. They’re a great alternative to tots made from white potatoes. Most toddlers aren’t vegetable fans (mine included!) so this is an easy way to sneak them into their diet. 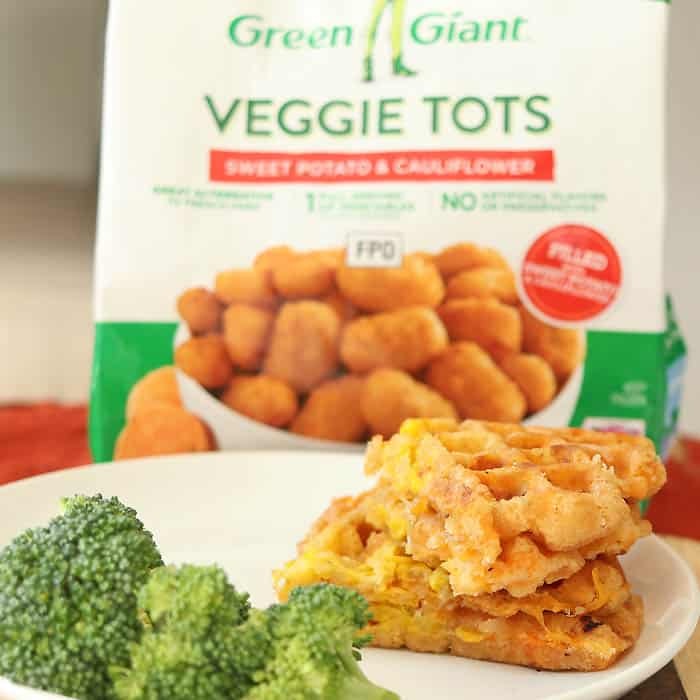 Green Giant Veggie Tots contain no artificial flavors or preservatives. There’s also 1 full serving of vegetables in each serving! 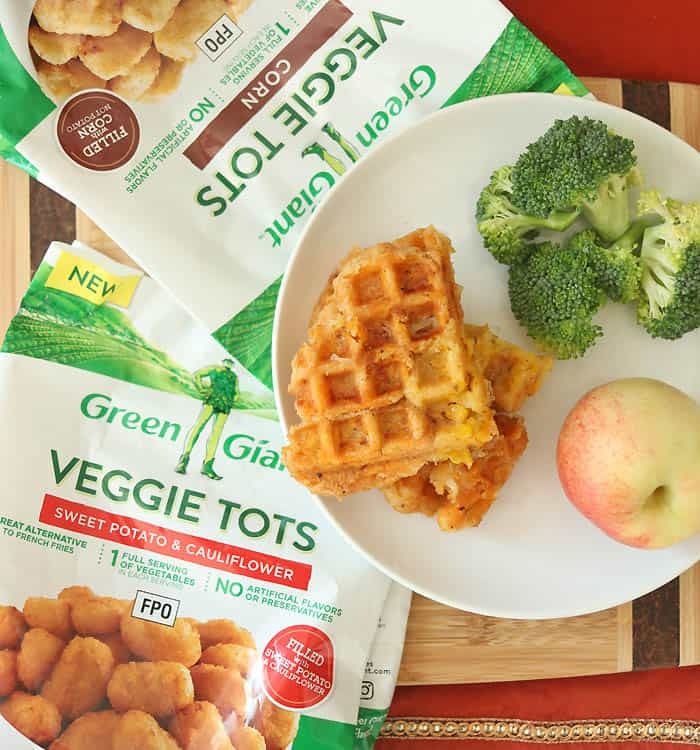 The veggie tots cook up perfectly in a waffle maker (make sure you thaw them first!) I put Sweet Potato and Cauliflower tots on the outside and Corn Tots in the middle. After just a few minutes in the iron, the tots were cooked and smelling delicious! Then I added shredded cheese to one side and folded it over. 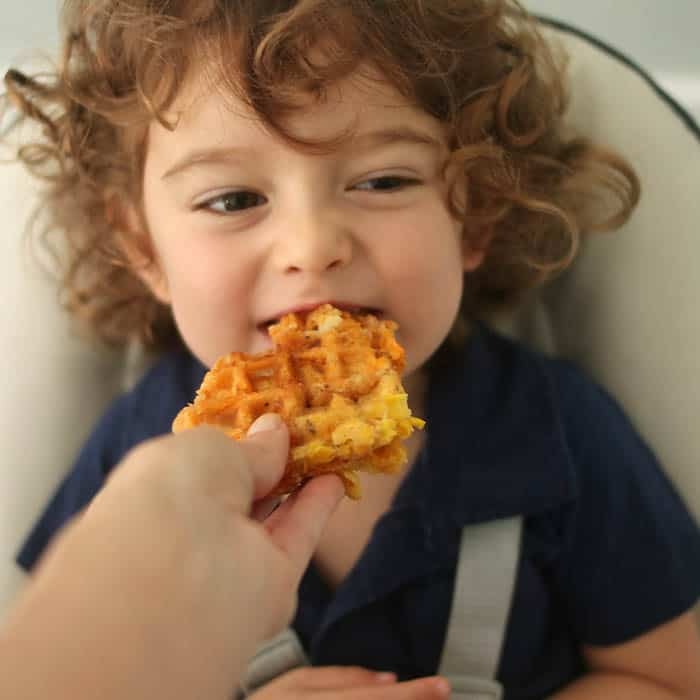 Indigo absolutely loved the Veggie Tot Grilled Cheese! 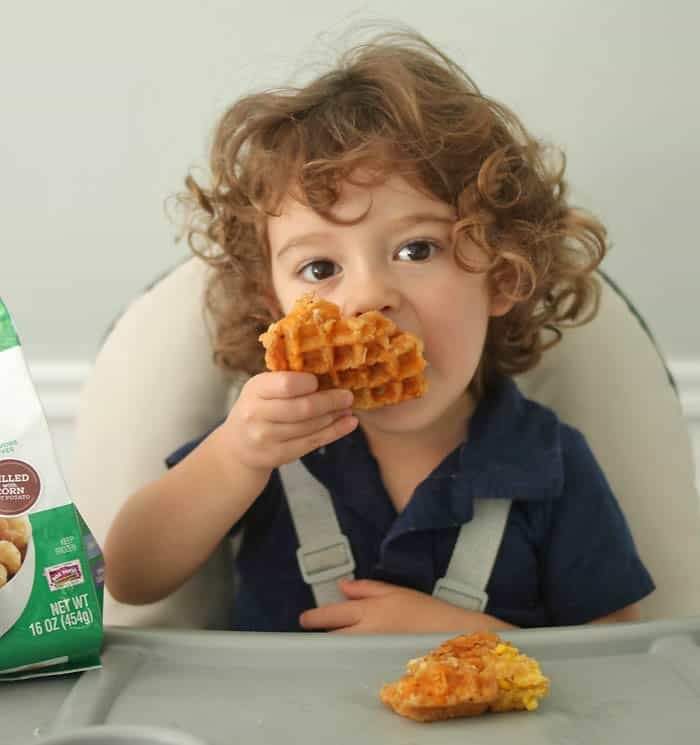 Let tots thaw.Spray waffle iron with cooking oil. Place the tots side by side in the iron and close. 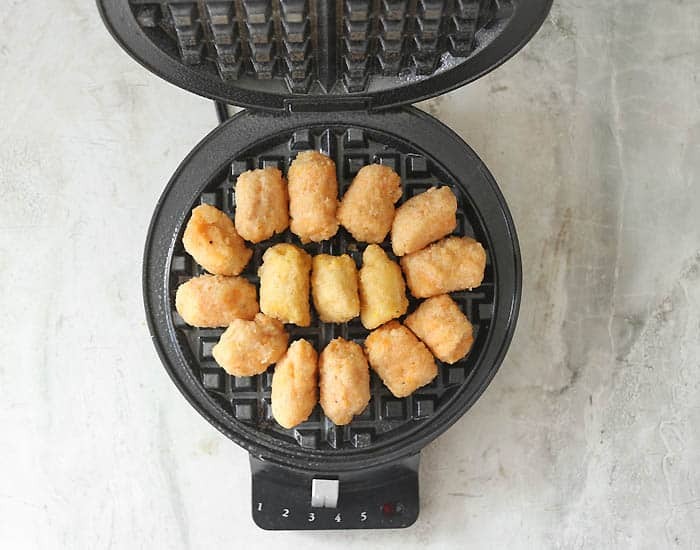 Cook as directed by waffle iron.Remove tot waffle, add cheese to one side and fold over. Minion Hat Free Knitting Pattern- perfect for Halloween!